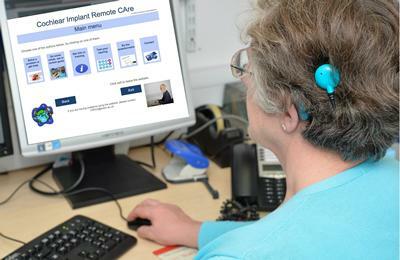 People with cochlear implants can benefit from remote care person-centred services. People with cochlear implants who receive postoperative care via a remote, telemedicine service trialled by the University of Southampton have shown a significant increase in their empowerment coupled with real improvements in their hearing tests after using the online care tools. The University’s Auditory Implant Service, which designed, implemented and evaluated the long-term follow-up pathway for people with cochlear implants hopes that the results lead to an even more patient-centred and efficient service. The 60 patients taking part in the randomised trial over a six-month period were either offered their usual appointment schedule, which requires visiting the University-based Service from wherever they live, or given access to the innovative online service. This gave them remote access to self-adjustment of devices and a personalised online intervention package for testing their own hearing with access to rehabilitation, troubleshooting and training at home. 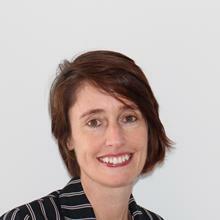 “We found that only the remote care group had a significant increase in their cochlear implant empowerment after using the remote care tools,” said Project Lead Dr Helen Cullington, Clinical Scientist at the University of Southampton Auditory Implant Service and lead author of a paper exploring the findings published in the journal BMJ Open. “Quality of life remained stable in the two groups during the randomised trial,” Dr Cullington continued. “The hearing test result in clinic, however, had improved in the remote care group; this may suggest that the remote care group were more able to take action to keep their hearing stable during the trial. Patients and clinicians were generally keen to continue remote care, with the most popular aspect being the home hearing test. Around 1400 people receive a cochlear implant in the UK each year. Patients require lifetime annual follow-up at one of 18 specialist centres like the Service in Southampton which may be several hours away from their home. All essential National Health Service (NHS) cochlear implant care is provided free of charge at the point of delivery. However, there are other costs associated with attending appointments, e.g. travel costs, lost income, childcare, accommodation and parking. Some deaf people may not feel confident to travel by public transport alone, so there may be additional costs for an accompanying person. In addition to financial costs, there are also time constraints, social inconvenience and psychological barriers associated with a journey to hospital. Currently the cochlear implant centres provide lifelong care, following a schedule of appointments with little opportunity for personalisation; this may result in appointments occurring which do not provide benefit. Conversely, when some patients attend a routine appointment, an audiologist can diagnose that there has been hearing deterioration which the patient had not noticed. This is often remedied by replacing equipment that the patient could have done at home. Empowering the patient to self-care at home would enable more stable hearing and a more convenient and accessible service. “There is much evidence to show that people who are activated and empowered – possessing the knowledge, skills and confidence to manage their condition effectively – have better health outcomes and care experiences,” Dr Cullington concluded. The Auditory Implant Service at Southampton collaborated with the University’s Web and Internet Science Group in Electronics and Computer Science to create the online service with further support from the University of Nottingham. Funding for the pilot study was awarded through the Health Foundation which awarded a further £500,000 last Autumn through its Scaling Up Improvement programme to continue to evaluate and expand the service across the UK.